One of the things that my friend says she misses while she’s away travelling is the home cooked foods we prepare. Sometimes, the foods in other countries are truly interesting and her curiously pushes her to try and experiment. But she confessed that home cooking is something that she’ll never exchange for any international cuisine. While we are talking about this the Fairy Hobmother joined us in preparing Sinigang na Hipon, my friend favorite dish. The Fairy Hobmother sprinkled his love and made the dish even more special with her blessing to comfort the weary traveler. Cooking is made fun with the right appliance and utensils in our home’s kitchen, but our cooker is old so after a comforting and delicious meal, my friend searched for a cooker online to show the Fairy Hobmother. We hope it’s not too much to wish for something so luxurious and grand but this is just what our kitchen needs to prepare delicious home cooked meals to welcome any weary traveler friends and family. Even with the different cuisines that Filipino wanderlusters have tried, you can always expect them to come home and seek home cooked Filipino foods prepared by their friends and loved ones. I am so happy Fairy Hobmother is now making your wish come true. I want a home cooker too, sis! I wish Fairy Hobmother will grant my wish for a gas range this Christmas. I am so happy for your luck Tin. 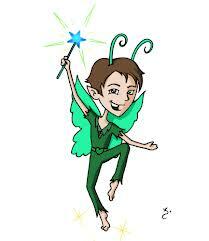 Finally, the famous Fairy landed on your blog and he granted your wishes.. weeee..